Holi is a festival which is celebrated in India with vibrant colors. The Holi festival commemorates the victory of good over evil, which was brought by the burning and destruction of the demon named Holika. 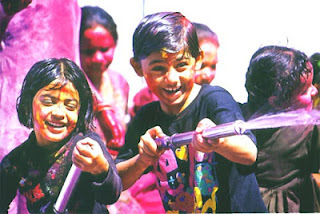 This festival is the opportunity to enjoy with your family and friends by drenching them in colors and water. Nowadays, Holi is celebrated by impregnating each other with artificial colors & water. Water, too plays an important role in celebrating Holi. You can’t have a satisfying Holi unless you get drenched in water. In the view of global warming, you wouldn’t want to play Holi with potable water. For this reason people flock in to water resorts and park, where you get abundance of water. Panoramic Universal Ltd. knows this fact and allows its guest to enjoy Holi at their resort which is situated at Karnala, Panvel. We have been celebrating Holi at our resorts, for many years now. We see people coming in from different caste, creed and religion to play Holi along with friends. 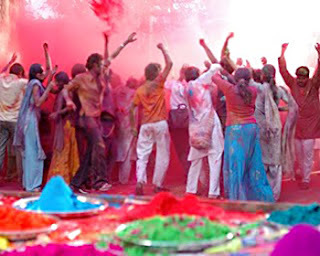 Holi is enjoyed most when played or celebrated with lots of people together. So for this season its better you enjoy your Holi in any of the resorts, preferably Panoramic Resort as you could enjoy with other guests. Also you could save some potable water and be part of eco-friendly planet.